As lawns come with more dogs, kids, toys, hoses, gardens and neighbors, they also come with more fences! To wit: the fencing industry is growing fast. The American fencing market added 6.2% per year from 2012 to 2017. In 2016 alone, the industry took in around $7 million. Whether you’re trying to keep things in or out, fence installation can save lives, property, and friendships! However, a residential fence cannot be thrown up any which way. They are regulated and those regulations vary by jurisdiction. Check with your local officials to ensure you and your professional installer have got the rules down pat. Pools in particular often require secure enclosures that meet certain requirements and foregoing them can come with serious legal consequences. 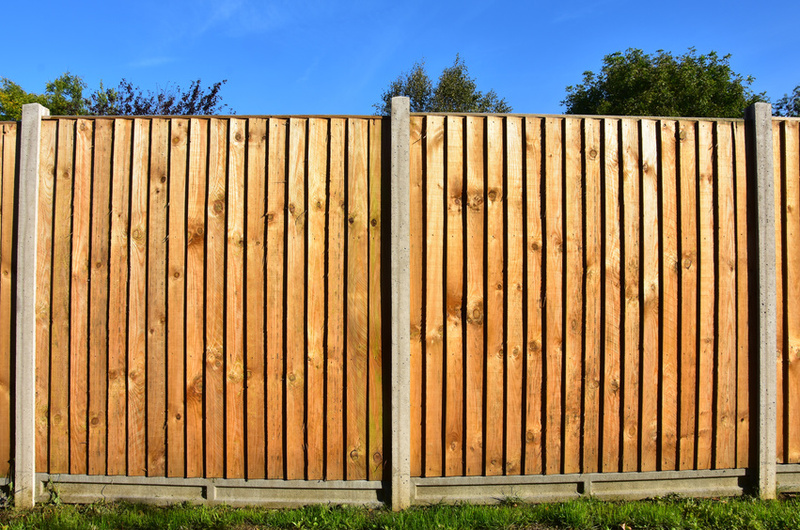 Quality fences require maintenance to keep them in good shape and around for years. Professional installers recommend that wood fences get a fresh coat of paint or stain every two or three years. Consider switching up your paint or stain color every so often to give your fence a fresh new look and show your family’s personality. Fences also offer an enhanced sense of security and privacy, especially for parents of little ones and frequent sun worshipers. If privacy is your primary concern, be sure to consider fences with slats placed tightly close together to keep free of prying eyes. Fence installation offers benefits to your property’s bottom line as well. In addition to adding privacy and security, an attractive fence can give your home an elegant, stately feel and significantly enhance your home’s curb appeal, which will come in handy should you eventually decide to sell. Don’t forget the green or the blooms. A nice enough fence can become a beautiful central feature of your property with the addition of suitable greenery, flowers, and even outdoor string lights. Pirouettes of climbing roses and twirling vines dancing up your fence help it blend in with your grass, add pops of color and captivating shapes, and give your home a vernal charm. A well-designed fence can transform a simple yard into a welcoming outdoor living space to serve as a home for everything from your casual cookouts to summer dusk garden parties.